It is hard to believe that it has been 17 years since that fateful day in September of 2001. I remember the day well, but had a much different experience and viewpoint of what was going on than most of my friends. My memories differ as the major events of the day had all unfolded before I even heard about them. I was also out of the country during the days immediately following so I saw the news from a different viewpoint. 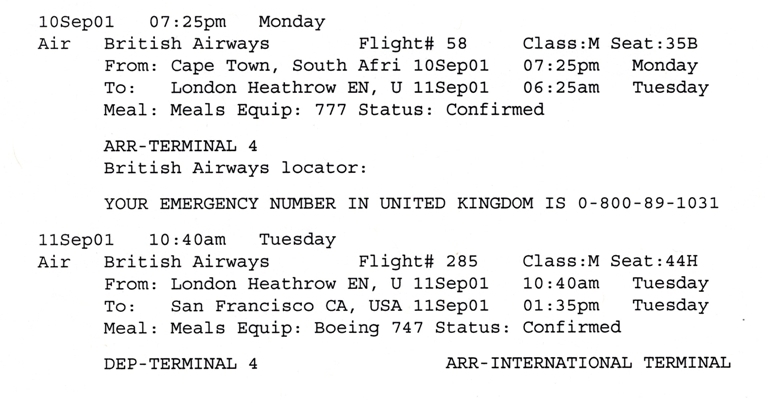 This week while organizing things in my office I ran across my itinerary from the flight I was on that day. I had left Cape Town, South Africa on Monday evening. 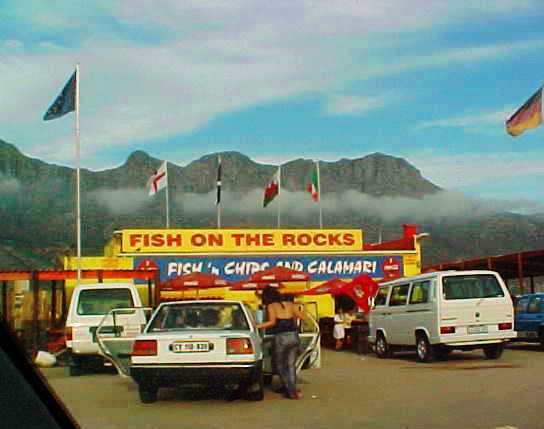 Earlier in the day we had eaten Fish and Chips at Fish on the Rocks in Hout Bay. 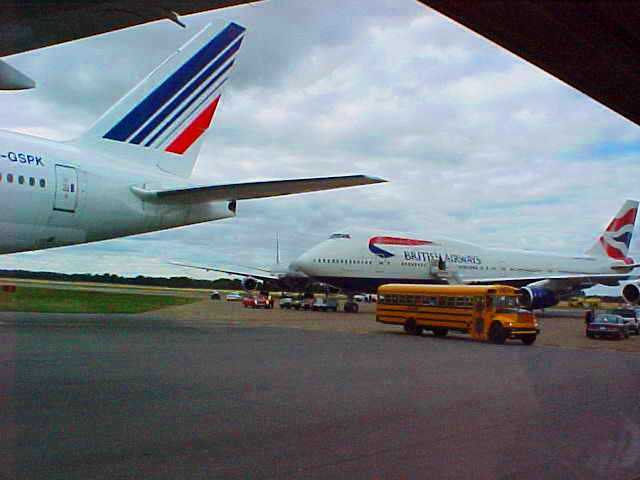 I luckily only had a four hour layover at Heathrow, but did have a chance to see the Concorde taxi by while I spent the morning of September 11 watching different aircraft at the busy airport. 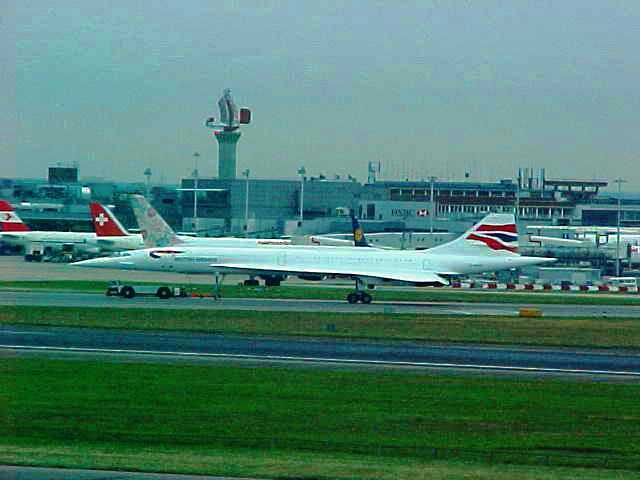 I found out later that it was the first Concorde flight carrying passengers since a crash the previous year had grounded the entire Concorde fleet. There would not be too many more flights of the Concorde after 9/11. 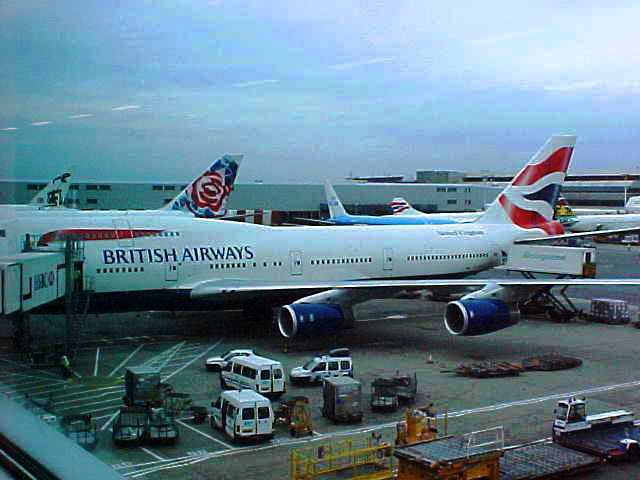 I was flying on British Airways and here is the 747 getting prepared for our flight. We finally boarded and took off toward San Francisco and I spent time reading and watching movies. In between movies I would turn on the map to see what our progress was. While flying over Greenland the map program all of a sudden no longer had an estimated arrival time. It only had our current location and the prior flight path. I assumed that there was a glitch in the program. It was not until about five hours later that I found out the reason why the map program no longer gave our destination. The pilot announced that we would be landing in Edmonton because of flight restrictions into San Francisco. We were soon dumping fuel and set down in Edmonton. Once we were on the ground the pilot made an announcement and let us know that some planes had flown into buildings in the US and that US airspace had been closed. I looked around and saw that there were several other large planes parked far from the terminal. I then started making phone calls and soon found out more details about what had happened. I first called the HR VP at my office to find out what was going on as my phone showed he was trying to call me. I was the last known traveler to check in at work and there was great concern about me as it had been some hours after the events. Flights had been been grounded in the US for probably at least four hours. Because of where we were when events happened we were one of the last US bound flights to land. As I look back on this I wonder why they didn’t simply call our travel agent as they would have known my flight schedule. However, they may have been deluged with calls and with everything going on people were probably not thinking clearly. I still did not know too much until I made it to a hotel. They did not allow us to pick up any of our checked luggage as they simply put us in taxis and sent us to hotels to get us away from the airport as soon as possible. The next day we went back to the airport where I found out that we would all be flown back to London until US Airspace re-opened. We were given a choice to stay in Edmonton, but we would be on our own if we did. It would be three more days before I would finally be on the way home to San Francisco again. If you would like to read more about the further adventures I went through during that time you can read about them in my post Remembering September 11. Looking back on the events, makes me realize how much the World has changed in my lifetime. I am reassured that we have the promise for a much greater future beyond this temporary home that we live in. This entry was posted in Culture, History, Memories, Travel and tagged Canada, Cape Town, Edmonton, London, September 11, South Africa. Bookmark the permalink.